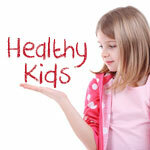 It's a sad truth that many of today's children are carrying the health problems of the middle-aged. High cholesterol, high blood pressure and diabetes all are linked to the nation's high rates of overweight and obese children. With that in mind, the National Heart, Lung and Blood Institute said late last year that all children should have cholesterol tests. Earlier advice was to screen children believed to be at high risk. The new recommendation was met in some circles with cheers and in others with concern about the possibility that doctors would be quick to prescribe adult medications to children, not knowing what the long-term effects might be. What everyone agrees on is that high cholesterol in children is a concern and one that has been under-recognized in the past. And experts say that screening for it likely will open the door to more-productive conversations about lifestyle changes for youngsters facing a future that could include illness and early death. Reversing high cholesterol before children reach their teen years or early adulthood is imperative, said Dr. Robert Murray, a professor of human nutrition at Ohio State University. "Pediatric cardiologists have been beating this drum for a while," he said. "The obesity epidemic has become a big enough problem that we should be screening 10-year-olds." The new advice, part of broader guidelines on reducing cardiovascular disease in children, says that everyone should undergo screening once between 9 and 11 years old and once between 17 and 21 years old. It also provides other advice to doctors caring for children with cholesterol problems. High cholesterol can increase the risk of cardiovascular disease, including heart attacks and stroke. That risk increases the longer a person lives with the problem, said Dr. Ihouma Eneli, the medical director of Nationwide Children's Hospital's Center for Healthy Weight and Nutrition. Some children are born with genetic abnormalities that lead to extremely high cholesterol that can cause early heart attack and even death. In those cases, medication can be necessary, said Dr. Peter Vande Kappelle, a pediatric cardiologist at Akron Children's Hospital. But in children who have high cholesterol because of poor diet and inactivity, lifestyle changes are usually enough, he said. "It's pretty easy to make a few changes if they're drinking sodas every day and juices and eating fast food all the time," he said. "And exercise is the best way to bring up your good cholesterol." An LDL (bad cholesterol) level of 110 or higher is a red flag in children, Vande Kappelle said. When looking at total cholesterol, more than 170 is considered high. Triglycerides should ideally be less than 100, he said. About a quarter of overweight children and about 4 in 10 obese children have high cholesterol, according to one recent study, Vande Kappelle said. "We really are missing a lot of kids with cholesterol problems," said Dr. Bryan Ghiloni, who practices with the Mount Carmel Medical Group in New Albany. Routine screening will give doctors more opportunity to talk about weight loss and how it relates to medical problems, Ghiloni said. Murray said he often counsels pediatricians that they should be careful when discussing weight with parents. Just telling them their children are obese or overweight is not particularly useful without explaining how this contributes to disease that might stick with the children throughout their lives, he said. A doctor with a cholesterol number on hand might well have an easier time conveying that information and find the child's parents more receptive. One challenge is that insurance rarely pays for nutritional counseling. In Ghiloni's office, a nurse works with families trying to improve their child's health through lifestyle changes, he said. He has not prescribed statins, cholesterol-lowering medications usually used for adults, to children, he said, and is unlikely to do that except in extreme circumstances. Little is known about the long-term effects of high cholesterol that starts in childhood because the problem has become pervasive only in recent decades. It's clearly damaging, Eneli said, but some argue that not enough is known about how severe the risk is. Many of those arguments come from experts worried that doctors will be too quick to prescribe medications to children. Eneli said there are clear recommendations about when to consider statins in children, and it shouldn't happen often.